Int'l Ch. 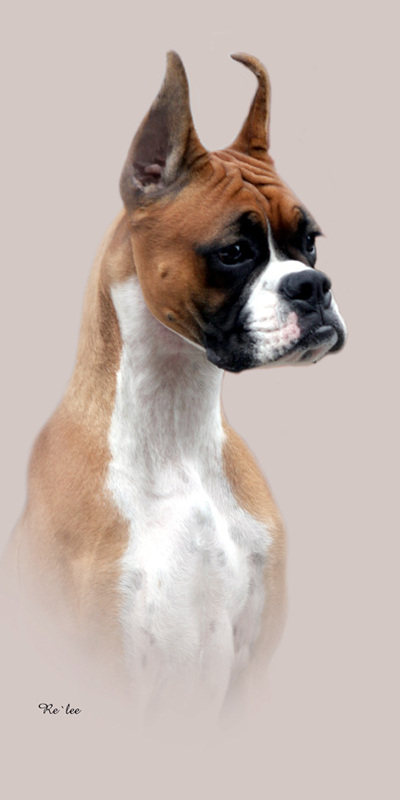 Robinson's Rambling Rose "Dottie"
She earned the Highest Rating possible (V-1 ,very excellent) at each of the 4 shows. Ms. Sharon Griffin- USA, Mr. Bill Sahloff- USA, Ms. Diane Anderson - USA. 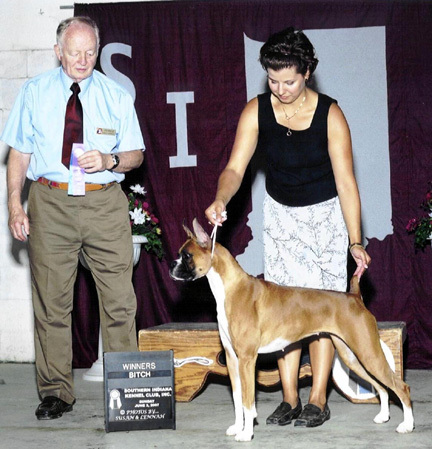 on 7/4/08 under Judge Suli Greendale-Paveza handled by Sherry Canciamille. 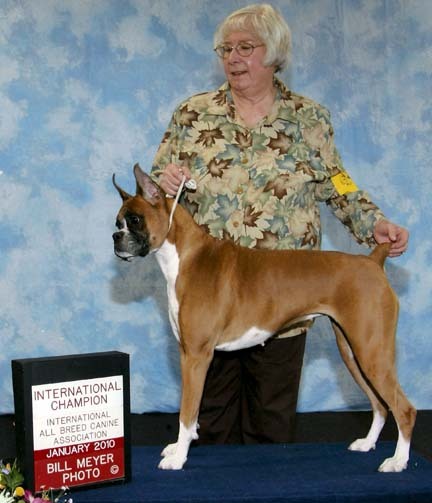 Dottie shown above in May, 2007.
under Judge John Connolly handled by Jody Paquette.